How to fix Far Cry 4 issues and errors with very simple and short solutions? 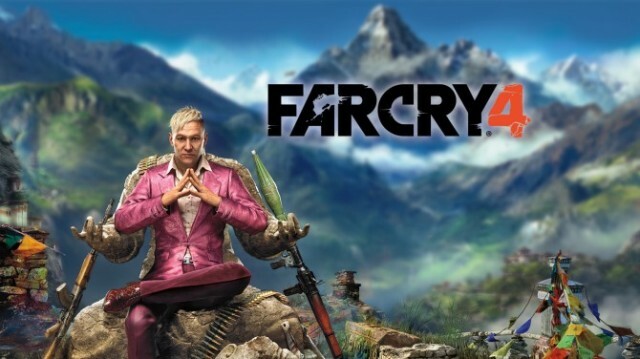 Far Cry 4 is an action and one of the most predictable games of the year which is developed by Ubisoft’s and this is the fourth installment in Far Cry series. This game has already received positive responses and so it seems to be quite a few problems related to the game running smoothly or not running at all. Far Cry is available on Windows, Xbox 360, Xbox one, PlayStation 4 and PlayStation 3. In fact, the first 2 official patches are ave already released for the PC versions. These patches fixed several bugs, but there are still many users who are complaining about troubles while playing the game. Therefore, some common issues are mentioned below along with their possible solutions. NOTE: Make sure that your system fulfills all the minimum requirements of the game and you have the patches for Far Cry 4. How to fix Far Cry 4 issues and errors? 1. Black/Grey Screen at startup (This seems to be the most common far Cry 4 crashes until now). Solutions: First disable or unplug any of the USB Bluetooth adapter or Gamepads, Joysticks and controllers while launching and playing the game. After doing all this process, if the issue is not yet solved then go to “HID Devices & USB Controllers” that is located in Control Panel and then disable any HID drivers such as ds4windows, x360ce, vjoy. Even you can try to deactivate “Dolby Live” from Windows Sound settings. If you face any issue in searching “vcredist_x64” then you can download it from Microsoft’s website. Access the “Quality settings” from the options and then change the “Shadow” setting from high to medium. Still, if the shadows are not fixed then you can try to change “Aspect ratio” setting to auto. 5. “0xc000007b this application cannot start” Error. Reinstall Microsoft Visual C + +. Reinstall DirectX (version 11 is required to play Far Cry 4). Install the latest Windows updates, from “Windows Update”. 6. Blue Screen and PC reboots during game-play. If you are unable to do this manually or unable to find the suitable driver for your graphics card then visit your graphics card’s manufacturers website e.g. NVIDIA or AMD and can use the automated tools to download and then install the latest drivers. 7. Missing DLL files & DirectX errors. Solution: This is another typical video game issue where many Far Cry 4 users have experienced. First be sure that you have installed DirectX11 that is required for Far Cry 4. If your computer is missing a specific DLL file then you can simply download it and place it in WindowsSystem32 or Syswow64 folder. 8. FPS Drops & Freezes. Can decrease the stuttering significantly and can make the game playable by disabling the “Anti-aliasing” and the “Ambient Occlusion” options in the video settings. When the issue comes up, try to reduce the “shadows” quality setting. 9. Mouse Acceleration not disabled. Solution: After you deactivate the setting from the menu, still there is some Mouse Acceleration happening that makes the game-play little bit annoying and unenjoyable. If you want you can solve the issue by editing “GamerProfile.xml” that is located in My Games/Far Cry 4 folders. Only find the lines “Smoothness” & “Smoothness_Ironsight” and set their values from 1 to 0. Solution: This issue is generally caused by minimizing the game or switch to borderless mode. You can easily fix this Far Cry 4 issue by turning the game in “fullscreen” mode and preventing minimization of the game to the desktop. Far Cry 4 is an action and one of the most predictable games of the year and is available on Windows, Xbox 360, Xbox one, PlayStation 4 and PlayStation 3.